o 5000 children successfully create a human helmet to break the existing record of 3,921 people forming a helmet. o Attempt is part of the company’s ‘Ride to Safety’ campaign to promote road safety awareness among two-wheeler riders. o 70,000 ISI marked helmets distributed by the company under the ‘Ride to Safety’ initiative till date. ICICI Lombard, the leading private sector non-life insurance company in India, today set a new Guinness World Record as part of its efforts to create awareness on road safety measures. The company has been promoting the cause of Road Safety through its unique CSR initiative ‘Ride To Safety’ since 2015. 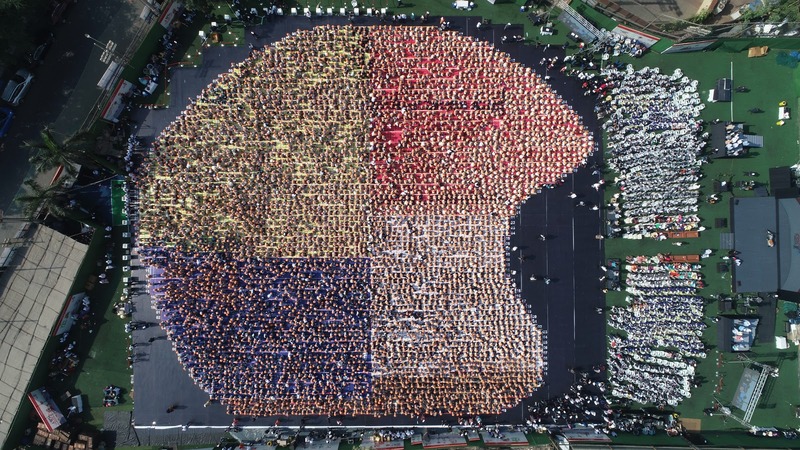 The record involved school children from 7 schools in Mumbai assembling at an open ground in Mumbai to form the shape of a helmet. The children wore specially designed ISI marked helmets that the company distributes during its ‘Ride To Safety’ workshops. The earlier record for the largest gathering for people wearing helmets at one location was 3,921 held by Ministry of Interiors in Dubai. The Guinness attempt was adjudicated by an official Guinness representative, Lucia Sinigagliesi who had specially flown down to Mumbai from London for the same. Senior dignitaries from the Mumbai traffic police were also present to witness the record. Further, to support the noble cause, renowned actor Shahid Kapoor, who is also a young parent, engaged with the children and motivated them to successfully complete the challenge. Road accidents involving 2-wheelers are involved in more than 25% cases. Every year, around 7,000 children succumb to road accidents. Educating the children at a nascent age and imparting them with appropriate road safety values can ensure that they follow safe road habits throughout their lives. With this belief, ICICI Lombard aims to build a sustainable community that adopts safe road habits.